Maize (Zea mays L.) seedlings grown in water culture in the presence of zinc and nickel ions were used with an effort to alleviate heavy metal toxicity by treating seeds with thidiazuron and kinetin (synthetic growth regulators with cytokinin-like activity). 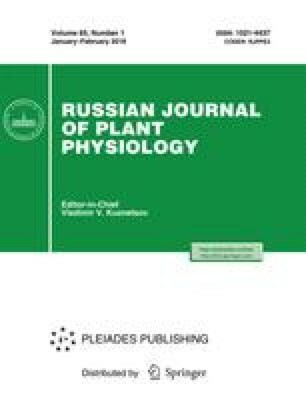 Heavy metals were shown to decrease germinability of seeds, suppress seedling growth, alter membrane permeability, and inhibit the activity of ascorbate peroxidase. Synthetic cytokinin-like agents alleviated deteriorative effects of heavy metals; the extent of alleviation depended on toxicant species and its concentration. The toxic effect of Zn2+ was effectively relieved by kinetin, whereas the Ni2+ toxicity was preferentially alleviated by thidiazuron. Original Russian Text © A.S. Lukatkin, N.V. Gracheva, N.N. Grishenkova, P.V. Dukhovskis. A.A. Brazaitite, 2007, published in Fiziologiya Rastenii, 2007, Vol. 54, No. 3, pp. 432–439.